I recently acquired a trio of juvenile/sub-adult H. incei golds, and I immediately discovered what a truly beautiful and interesting species they are. These lively little dwarfs sport gorgeous gold and orange tones that make them wonderful display spiders. 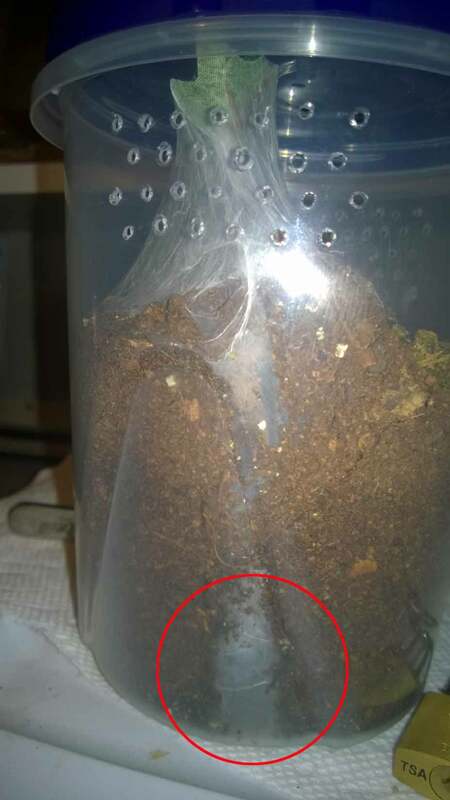 They also like to decorate their enclosures with copious amounts of thick webbing, making them one of the more prolific webbers of the species I keep. One of my H. incei golds after being housed. Not the best picture, as the flash has washed out it’s colors. All three have been excellent eaters, snatching medium crickets from the mouths of their burrows with lightning speed. 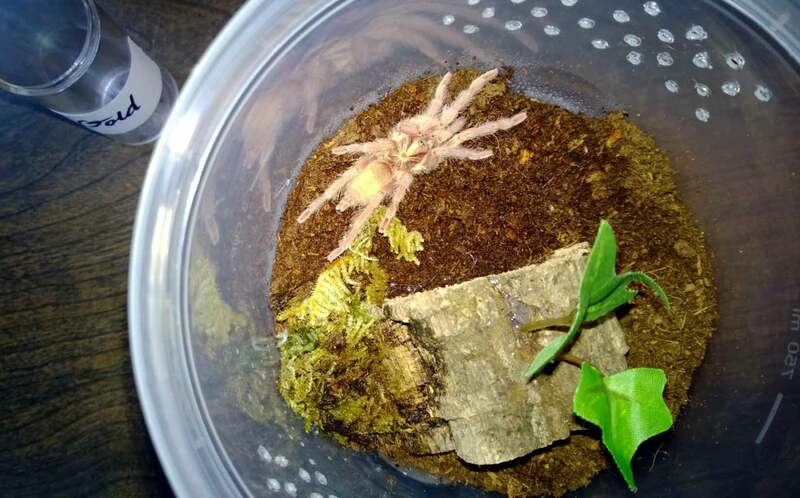 Although they were furnished with identical enclosures with cork barks and starter burrow holes dug into the substrate, only two of my H. incei golds adopted these as homes. Both of these two dug deep burrows before lining the opening of their dens in a liberal coating of silk. The third built what I can best describe as a silken teepee over its cork bark hide. This specimen did not dig, but instead sits on the surface, sometimes beneath its hide, waiting for prey. It makes for a wonderful showcase animal, as it is more often than not visible. It is this T that is featured in the feeding video. A modified Ziploc container. This H. incei dug a deep burrow; the circle marks the lower chamber. I keep my H. incei golds in the same temperatures as my other Ts; high 70s during the day with low 70s at night. I also keep the substrate for these guys on the moist side (not wet), by sprinkling water on the surface twice a week. They are currently eating one medium cricket every three or four days. For lovers of dwarf tarantula species, or even just those who want a gorgeous, heavy-webbing T, the H. incei gold makes a wonderful pet.